There are lots of things to do in this Multi cultural city of many wanders, you can never get bored, a Dubai Dhow cruise is one of them. It’s not your typical cruise, we decided to take one last year for Eid. Firstly, what is a show cruise? A “Dhow” is a lateen-rigged ship with one or two masts, used chiefly in the Arabian region. The cruise ships are models and replicas of these ships on a larger scale. If you hadn’t picked up already, Dubai loves to preserve it’s culture in everything from the buildings, entertainment and food! Back to the cruise, this activity is family friendly, as well as something you can do with your significant other, they have a wide range of dhows at different times. The ship is decorated with lights and designs that shine in the night sky! 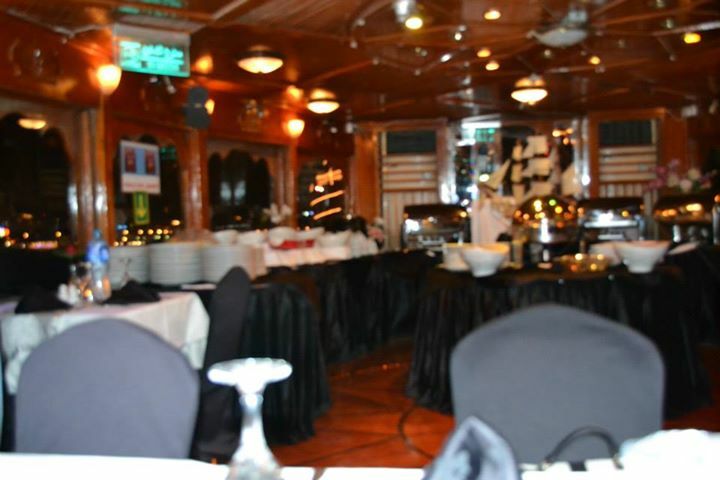 As you cruise down the Dubai creek you can enjoy the succulent BBQ dinner with Tanura dances, traditional music, magical acts, and the wind blowing gently in your hair… Who said romance was dead? There’s not just one dhow company, you can browse through the many companies to fit your needs, we have listed a few below for you! 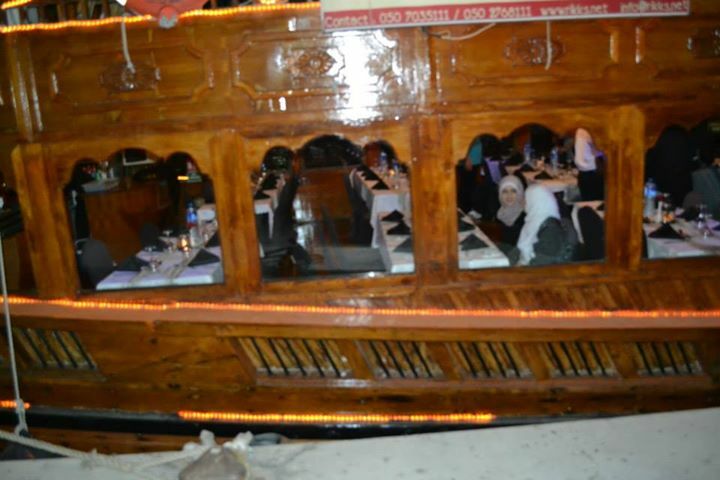 Most dhow cruises below start from 100AED Per Person. This is the best for the veggies! If you’re a vegetarian and you’re worried about the BBQ, look no further, this dhow has a vegetarian focus, but they do have something for meat eaters! This is a family friendly dhow, something for you to enjoy with the whole family, having the full works of entertainment and henna and souvenirs to take home! This show has a live singer with unlimited soft drinks to keep you cool throughout the cruise! 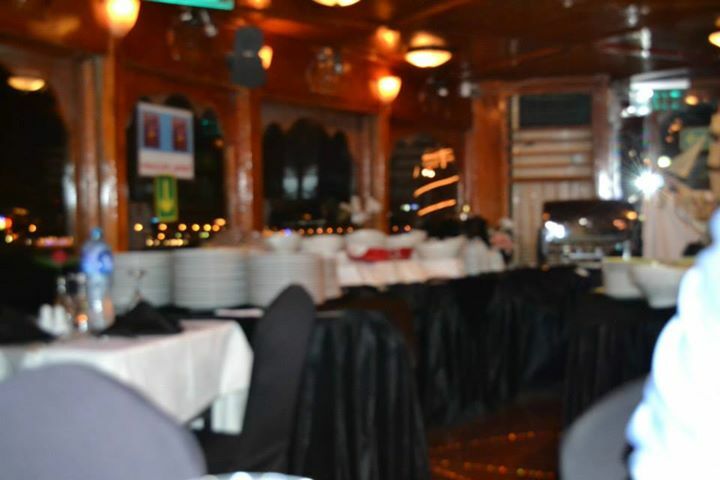 These boats are long and thin, having full air com above and below, giving you a more royal experience. Although you’ll see the sights in all the dhows, some may not commentate on what you’re passing by, so sometimes it’s nice to be told what’s happening. Tour Dubai specializes in their commentary as you sail along the creek. 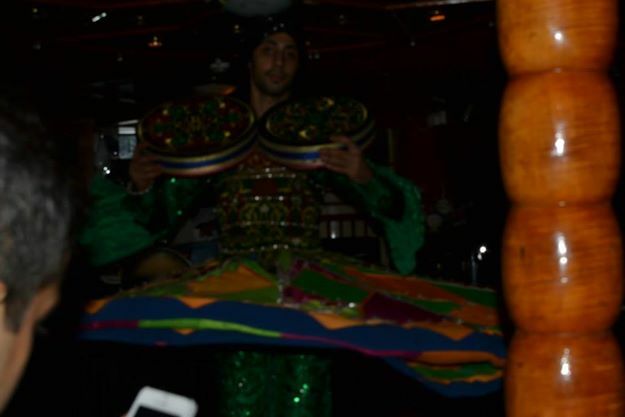 You can ceck out Deals by Dhow restaurants as well on Groupon UAE website. So don’t forget to book your dhow early to get exactly what you want and enjoy a few of our snaps during our visit to Rikks Floating Restaurant !